Merrifield has always been anchored by its movie theater. 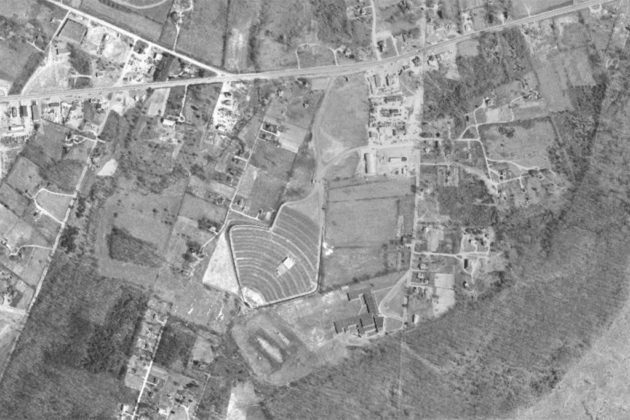 While Fairfax County’s aerial photography shows the site’s growth from fields to an urban center, the theater has been there since some of the earliest photos. In photography from before 1960, Merrifield is mostly fields and farmland. 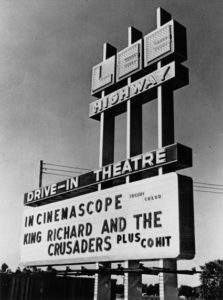 But in 1954, the Washington area’s largest drive-in theater, the Lee Highway Drive-In, opened at the site. 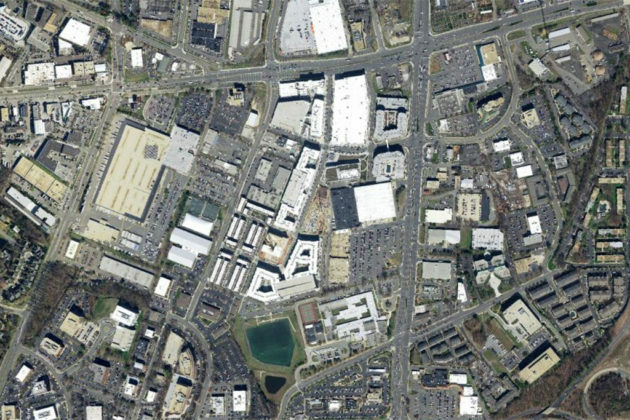 That’s the cone-shaped development in the middle of the aerial photography. The theater featured a 50×120′ CinemaScope screen and a rotunda-style dining area. At its capacity in 1983, the drive-in could fit 1,353 cars. 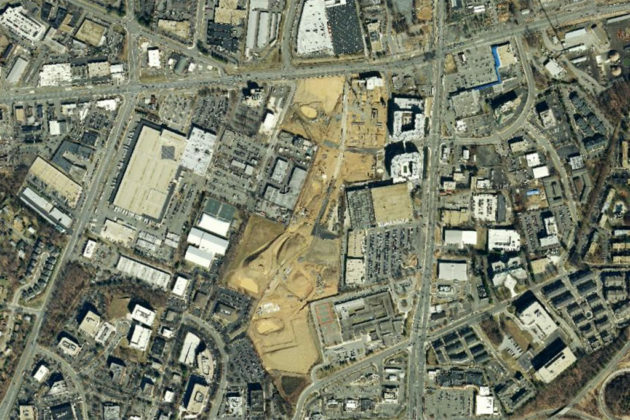 The drive-in is still visible in the 1976 photography, with other development sprouting up nearby. In 1984, however, the drive-in was closed and replaced with a multiplex theater nearby. Like the drive-in at its heyday, the new theaters that opened were state-of-the-art. 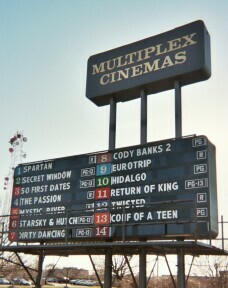 But by the mid-2000s, the once modern multiplex was showing its age, like the drive-in had before it. The site gained some notoriety in 2005 after a man leaving the theater was attacked by several assailants, one of whom wielded a machete and cut three fingers off the man’s hand. 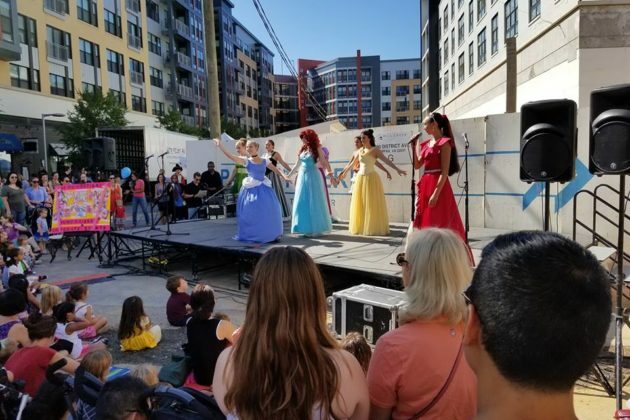 In 2009 the site’s owner, National Amusements, sold the site and plans began to emerge for a more pedestrian-friendly urban center today known as the Mosaic District. 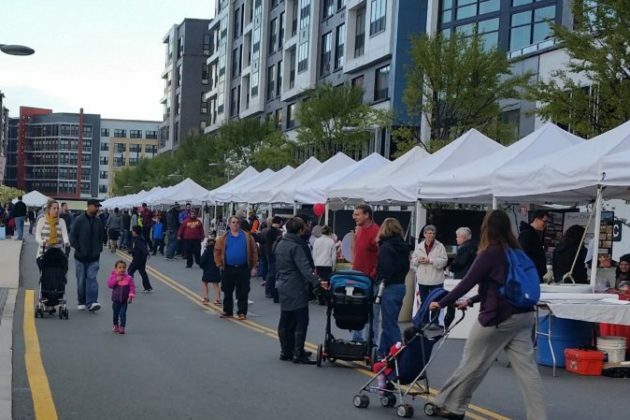 Photography from 2011 shows the area mid-development; in 2012 the Mosaic District opened with a mix of handpicked local boutiques and national retailers. Prior to that, Rep. Gerry Connolly described Merrifield as a “waste” in a New York Times article on the emerging development. Mr. Connolly… is familiar with Merrifield’s past and present. He remembers thinking to himself, “What a waste of land,” after being elected in 1995 to the Fairfax County board of supervisors. 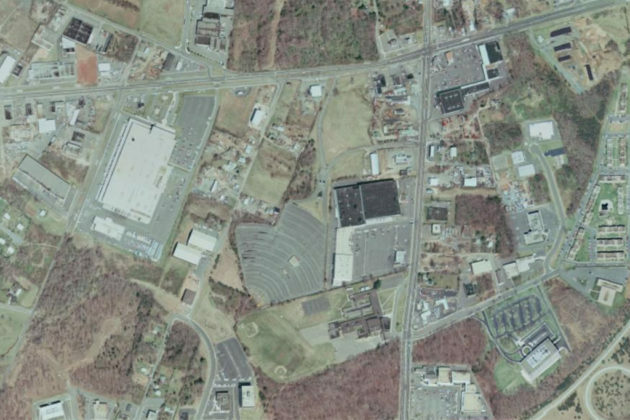 “We have this aging movie theater that’s surrounded by acres of surface parking,” Mr. Connolly said. 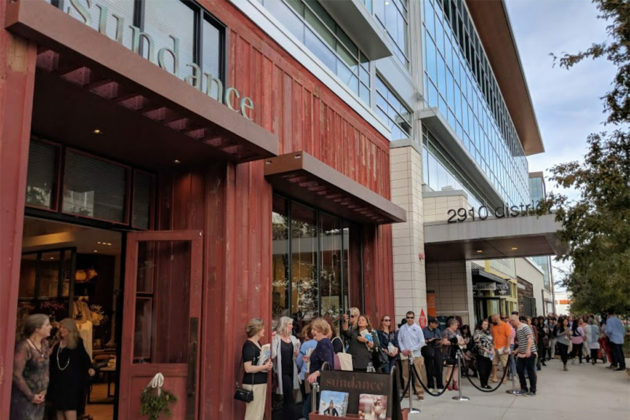 In fall 2012, the Angelika Film Center opened an 8-screen theater in Mosaic District, continuing Merrifield’s movie legacy established more than half a century earlier. 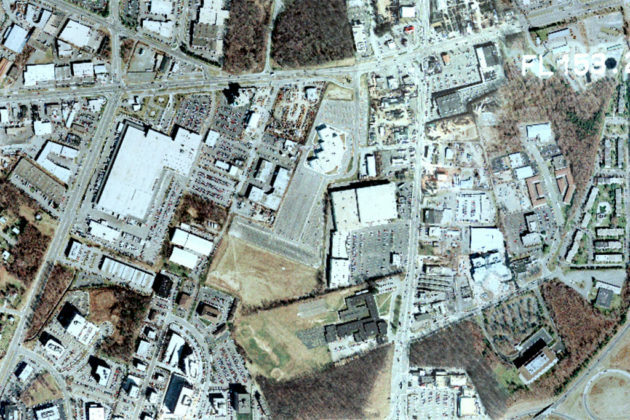 Past and Present is a Tysons Reporter series looking at locations in our area as they’ve changed over the last century. Check out our articles for Tysons Corner Mall, Tysons Galleria/Leesburg Pike, Tysons East, and Maple Avenue.